Lock in a great price for Munduk Moding Plantation Nature Resort & Spa – rated 9.5 by recent guests! Everything. Amazing customer service, quality of the food. I've been to many 5 start hotels in my life but the level of service, the quality of the materials in the room and all the location makes of Munduk Plantation one of the best I've been in my life. I'll go back for sure. Staff Service was excellent . Since we were vegan. 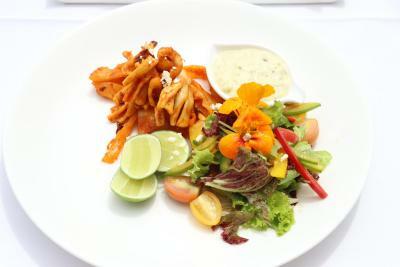 They provided few vegetables so that we can prepare in our kitchen. Had a wonderful time. 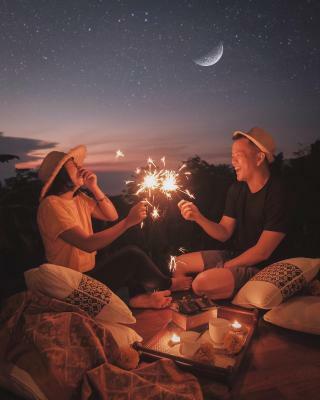 It was romantic without making me feel like a weirdo for being alone. I had an entire suite to myself, lots of privacy. Everything was very clean and high quality. The staff was amazing. The scenery is unbelievably beautiful and the sounds of nature are fantastic. There is a waterfall nearby and those cliff swings for taking pictures. 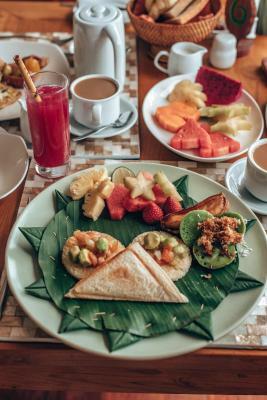 The resort has its own activities as well, like touring the coffee plantation and bird watching, so it is not boring. I loved the pool and jacuzzi. The driver I had was amazing as well. His name is Putra. Our stay at the resort exceeded our very high expectations. The staff was professional and very friendly. The room was very large, peaceful, clean and private, with a view from the mountain that was from a dream. Our private infinity pool exceeded the photos that were advertised. And the private butler was an unexpected HUGE benefit. 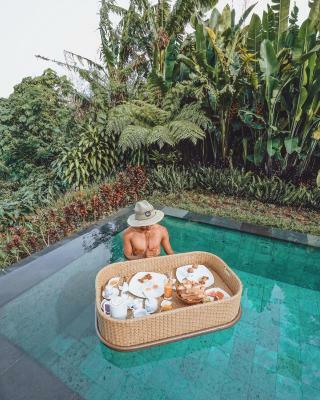 He took us on day trips to the jungle and several hikes to local waterfalls, arranged spa visits, and delivered food in the evenings upon request. The food in the restaurant was delicious, and the view from the restaurant took our breath away every day. The resort is small, so there were never many people in the pool or public areas, and you really felt like you were the center of the resort. If you are looking for something relaxing and rejuvenating, then I could not recommend this resort more. We will definitely return. The rooms were nice and spacious. The pool and grounds were beautiful. The restaurant was pretty good and the staff were very nice. This place was a dream! We got upgraded to a Villa upon arrival and it had the most beautiful view I’ve ever seen. We had a great time and it was truly one of our highlights of our trip! The resort grounds were beautiful, the spa was very relaxing and the views from our room and the pool/restaurant area were amazing. 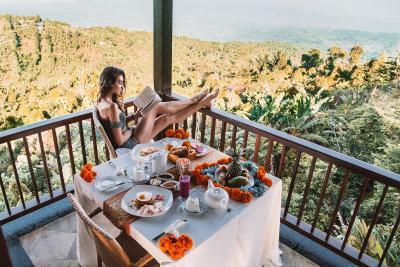 Munduk Moding Plantation Nature Resort & Spa This rating is a reflection of how the property compares to the industry standard when it comes to price, facilities and services available. It's based on a self-evaluation by the property. Use this rating to help choose your stay! 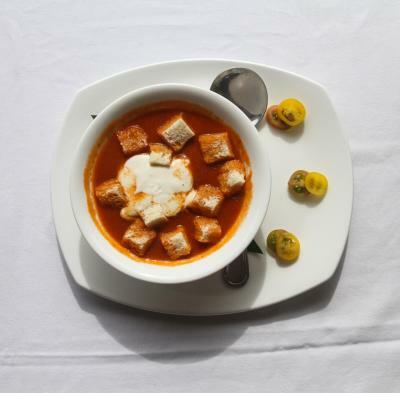 One of our top picks in Munduk – and a guest favorite. 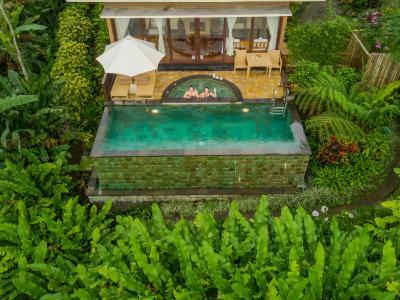 Munduk Moding Plantation Nature Resort offers luxurious suites and villas with free Wi-Fi. 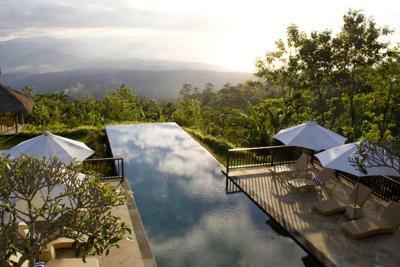 An outdoor infinity pool provides scenic views of the surrounding coffee trees, rice fields and mountains. The resort also features its own spa, restaurant and tennis courts. Buyan Lake and Tamblingan Lake are both a 5-minute drive from Munduk Moding Plantation Nature Resort & Spa. Munduk Waterfall is just a 15-minute trek away. Featuring wood flooring and furnishings, each room has a 4-poster bed and floor-to-ceiling windows. A flat-screen TV with satellite and cable channels, DVD player and refrigerator with mini-bar are included. Private bathroom includes a shower and terrazzo bathtub. Enjoy massage services and various body treatments at the resort’s spa. Activities such as cycling and horse riding are available. The resort also provides laundry services. 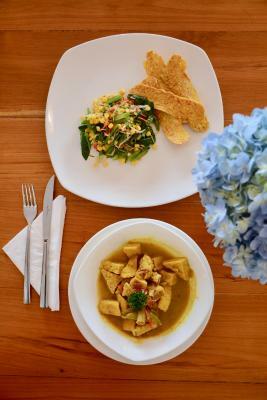 Balinese and European meals are prepared at the MiMPi Restaurant, which is open for breakfast, lunch and dinner. 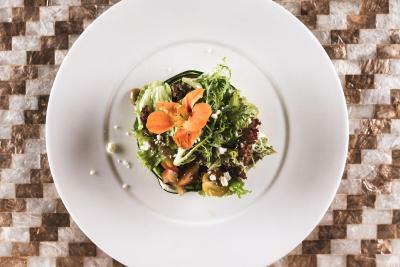 Dining can also be enjoyed in the rooms via room service. 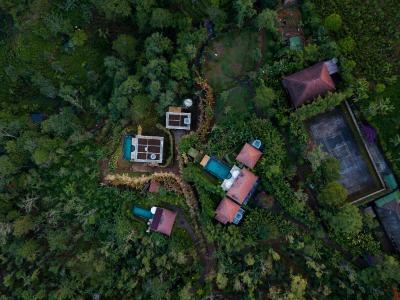 When would you like to stay at Munduk Moding Plantation Nature Resort & Spa? Suite offers garden views and a private terrace. Features a flat-screen TV with satellite and cable channels, DVD player and refrigerator with mini-bar. Private bathroom includes a shower and terrazzo bathtub. Spacious villa features a living area. Also includes a flat-screen TV with satellite and cable channels, DVD player and refrigerator with mini-bar. Private bathroom includes a shower and terrazzo bathtub. This spacious 2-bedroom villa has a private outdoor swimming pool and a separate living area fitted with sofa, a flat-screen satellite TV, CD/DVD player, and an iPod doc, There are also a dining area, and a well-equipped kitchen. Each bedroom comes with a wardrobe and an private bathroom featuring shower and bath facilities as well as free toiletries. Electric blankets are provided upon request. 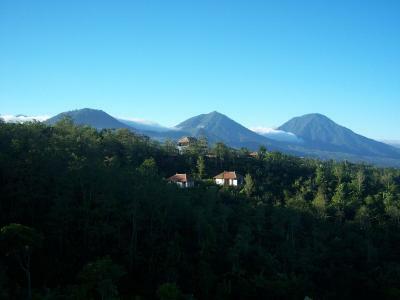 Guests can enjoy the lush mountain view, and distant sea view from the villa. This double room has a hot tub, DVD player and seating area. Guests enjoy private butler service, free daily mini-bar and free laundry service. Suite offers views of the mountain, rain forest and ocean. Features a flat-screen TV with satellite and cable channels, DVD player and refrigerator with mini-bar. Private bathroom includes a shower and terrazzo bathtub. 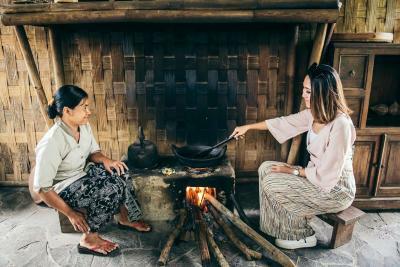 House Rules Munduk Moding Plantation Nature Resort & Spa takes special requests – add in the next step! Any additional older children or adults are charged IDR 520000 per night for extra beds. Munduk Moding Plantation Nature Resort &amp; Spa accepts these cards and reserves the right to temporarily hold an amount prior to arrival. Munduk Moding Plantation Nature Resort & Spa accepts these cards and reserves the right to temporarily hold an amount prior to arrival. Toilet had dampness due to weather in Munduk. Lightings can be improved. The views were fabulous and excellent staff! Breakfast and other meals we had were good too. 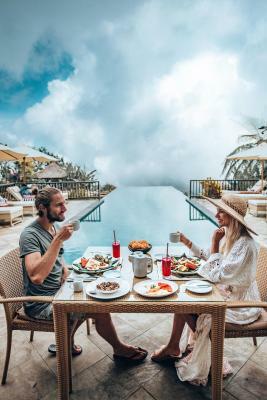 Amazing Boutique Resort with sweeping views over the coffee plantation, the tropical forest and last but not least the famous infinity pool towards the mountains and the sea. This is the surrounding where you can get a break from the usual Bali hype along the southern beaches. Just relax or get active with many kind of activities offered. Food and drinks were excellent, the staff is lovely. There are very different styles of accommodation. Not sure if they all have a great view. If not - you just hang out at the pool side, in the garden or at the restaurant. the fiod was disappointing. For lunch the bali meat soup not really tasty and dinner the seafood bbq was a lot but not good tast. We stayed at the bamboo villa with a private pool and hot tub. The service in this hotel is amazing. The things that really make this hotel stand out are: Floating breakfast in our private pool Hot tub at night The beautiful main infinity pool Private butler available at all times even on WhatsApp! Lovely restaurant with good food The coffee plantation walk is so beautiful and serene Oh and the welcome coffee is so damn good! Things that can be improved are: Bathtub and toilet were below average in the bamboo villa, it needs major renovation. Spa was slightly overpriced Some people spend too long taking photos on the infinity pool and aren't considerate to others. Its understandable to take a few photos but not ok for people to be spending half an hour just taking photos in the same spot! 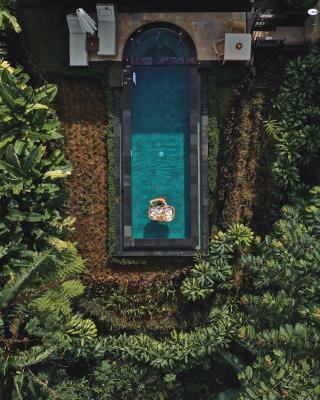 Overall, I loved loved this hotel and I would definitely recommend anyone that visits Bali to go there! Also take photos at different times of the day at the main infinity pool. Quite simply one of the best places I have ever stayed - the staff are fantastic and I don't think we have ever felt so pampered. The views are to die for, food superb, children's massages, horse riding, waterfalls......hot tub.....we had the lot. We will definitely be returning. The food was just ok, but I ordered western european food. So I'm sure the local dishes are probably excellent. Beautiful and luxurious place on large grounds. Infinity pool for "been-there" pictures. Beautiful hiking trails in the area. Super friendly staff. 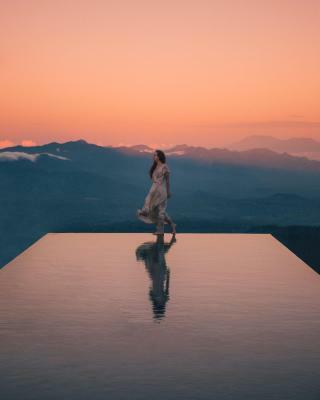 Amazing views and one of the top ten infinity pools in Asia. Beautiful and well maintained property. Very quite and serene. Really friendly staff and excellent food. Close to a lot of waterfalls and nature activities. Amazing stay from start to finish. Gorgeous property with incredible views and extremely friendly/helpful staff. Room was beautiful and quite large. Lovely place to unwind and relax.